If you happen to be travelling in Asia and have had your fill of soulless hotels that all look like the one you stayed in the night before, then check out our list of the 5 most unique, and perhaps slightly strange, hotels in Asia. They will definitely be something to write home about! This beautiful, traditionally designed nomadic retreat in the middle of the Gobi desert, called Three Camel Lodge, somehow manages to mix weird design, eco-friendly construction, and Mongolian Buddhist architecture into one stunning place to lay your head. The hotel consists of 30 gers (nomadic tents) which are made from felt and wood (they don’t use a single nail). This luxurious wilderness camp is also eco-friendly and takes advantage of both wind and solar power. 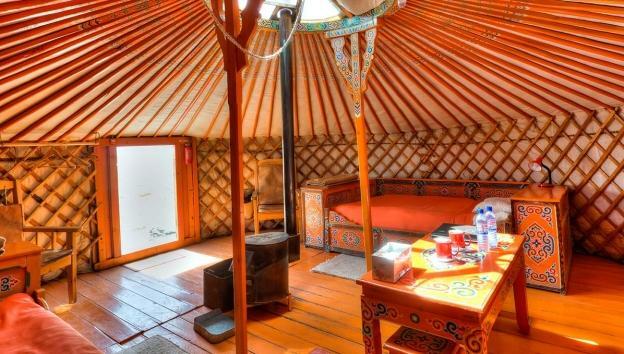 While these plush tents are small and expensive to stay in (doubles start at $300 per night), how many people can say that they’ve actually stayed in an authentic Mongolian tent in the middle of the breath taking Gobi desert? 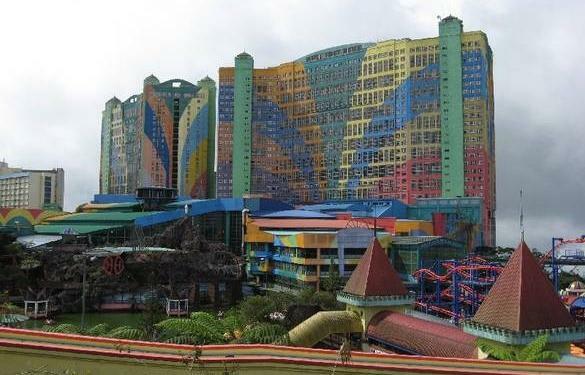 This is the second largest hotel in the world behind the MGM Grand in Las Vegas with a total of over 6,000 rooms, and is located in Genting Highlands, Pahang, Malaysia. It’s not so much the interior of this hotel that makes it strange, but rather the enthusiastic exterior colour scheme of the hotel’s facade which puts it on this list of weird hotels. The brightly and crazily painted hotels is a perfect fit for this entertainment hotspot which has its own fully-equipped theme park, casino, lounges and enough shopping to satisfy even the most ardent shopaholic. Any trip to the Genting Highlands would not be complete without a visit to the First World Hotel, and believe me, you can’t miss it! This was the first hotel of its kind. Each ‘room’ of the hotel is actually a small capsule with cramped 2m x 1m x 1.25m dimensions. The capsules are stacked on top of each other to maximise space, each one consisting of a TV, bed, and a wireless Internet connection. Really, it’s actually 5-star luxury just on a very small scale. 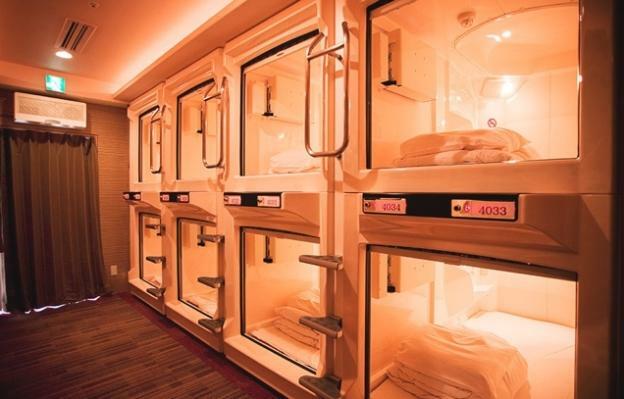 The Capsule Inn in Osaka is extremely popular amongst local businessmen who need a place to lay their head while on long business trips, and it’s also popular with those who had a night on the Sake and perhaps forgot how to get home. Nightly rates here are rather inexpensive starting at the equivalent of £15-20. Well worth it for a ‘authentic’ Japanese experience. 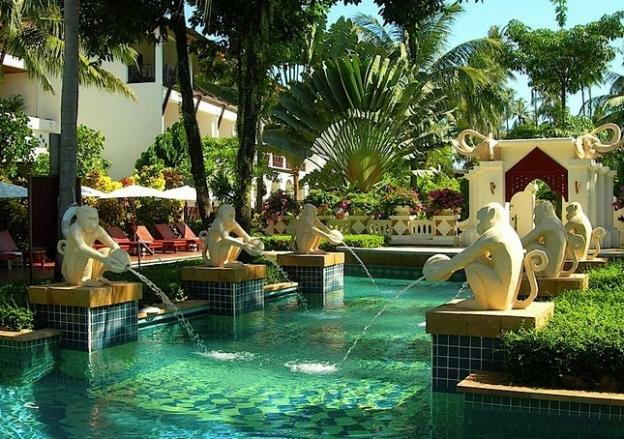 Book cheap flights to India and in the deep in a mountainous jungle region, you’ll stumble upon one of weirdest and loveliest hotels on the planet. 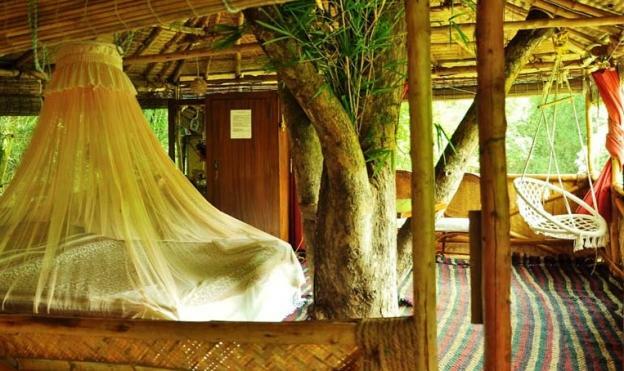 This hotel actually consists of 4 tree houses which stand approximately 15 feet off the ground, each built out of locally sourced materials like bamboo. These vast tree houses provide awesome views of the mountains beyond and jungle streams below. Each of the 14 rooms here cost between £80 and £100 per night depending upon the room, and there’s plenty for eco-tourists to do from wildlife treks and mountain hikes to sitting around bonfires or taking an elephant ride. There is even an on-site restaurant so no need for tins of beans on a campfire. Waking up in a tree on an eerie, misty Indian morning surely has to be a highlight of any trip. Sitting on the unspoiled, white sands of Cheong Mon Beach in Thailand, the Imperial Boat House Hotel consists of 34 authentic teakwood rice barges that have been converted into luxurious beachfront suites. The pool here is even in the shape of a large ship. Each one of these converted barges features 91 square meters of living space, a beautiful wooden sundeck, sky-lit bathroom and separate living areas. There aren’t many places on earth where you can ride an elephant on the beach as you can here, while you relax in truly unique and exquisitely designed accommodation in one of the most beautiful locations in the world.